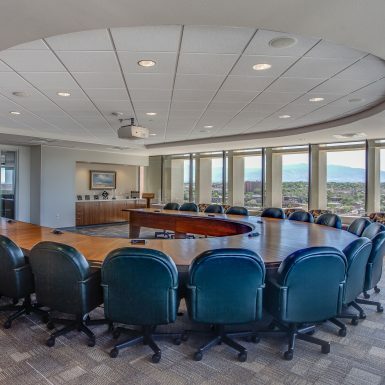 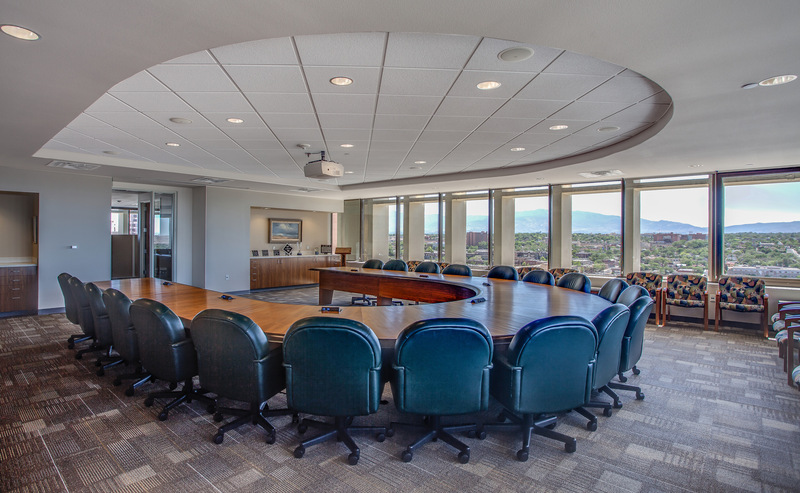 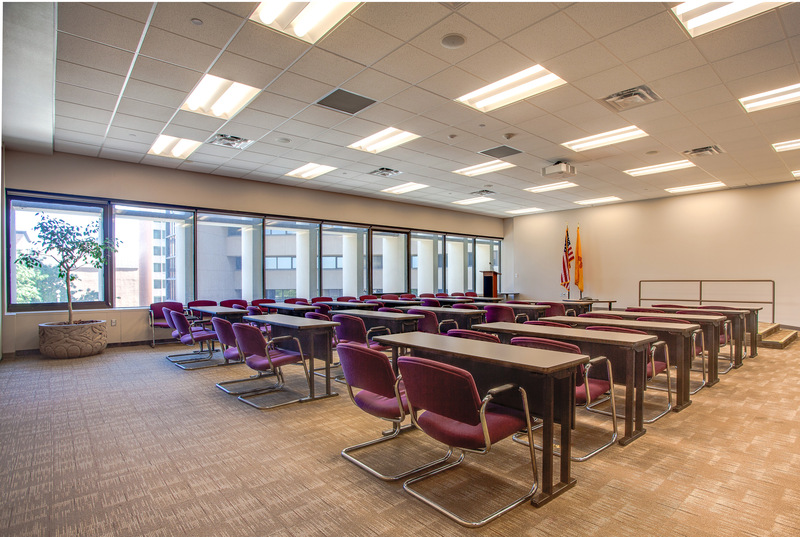 The PNM Headquarters project is an office remodel and consolidation in downtown Albuquerque. 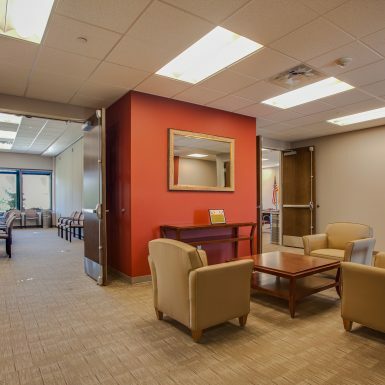 Housing all of PNM’s local, legal, and billing departments, this project is a full renovation of the 120,000 sf PNM Tower building located across the street from their previous space at Alvarado Square. 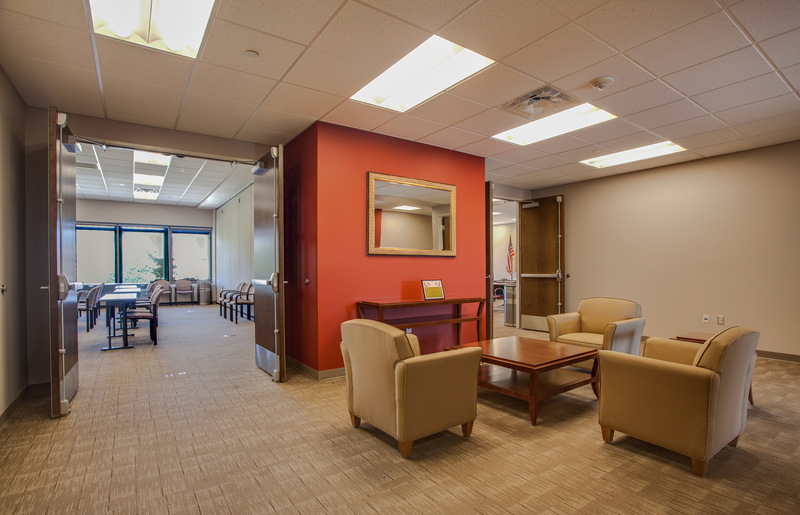 The new space accommodates up to 446 employees (before the renovation, 225 employees were occupying the building) in a combination of hard wall offices and systems furniture. 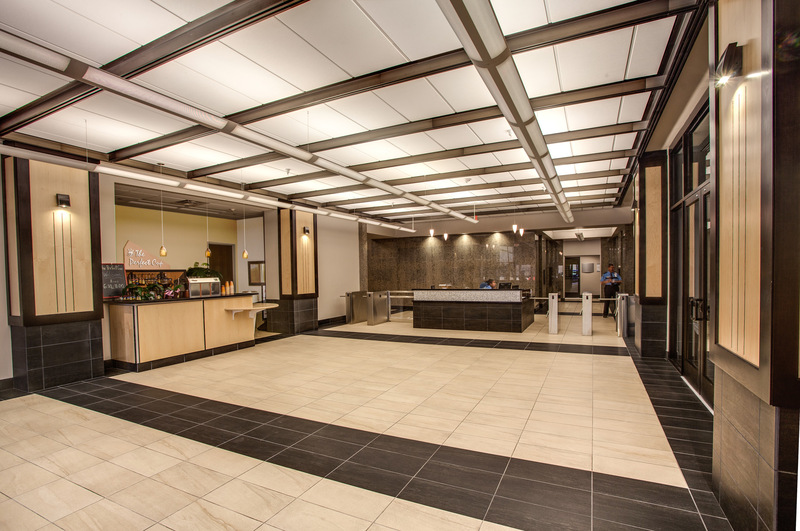 Studio SW provided all space planning services, interior design, and coordination with mechanical, electrical, and plumbing designers to meet applicable building codes and address accessibility deficiencies. 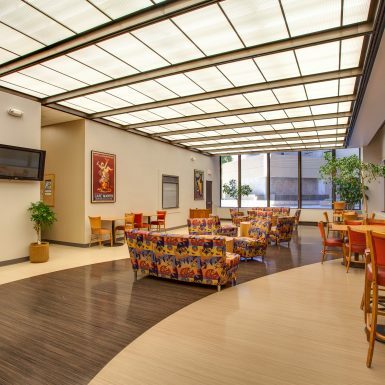 Studio SW was awarded the design and space needs assessment contract in March of 2012. 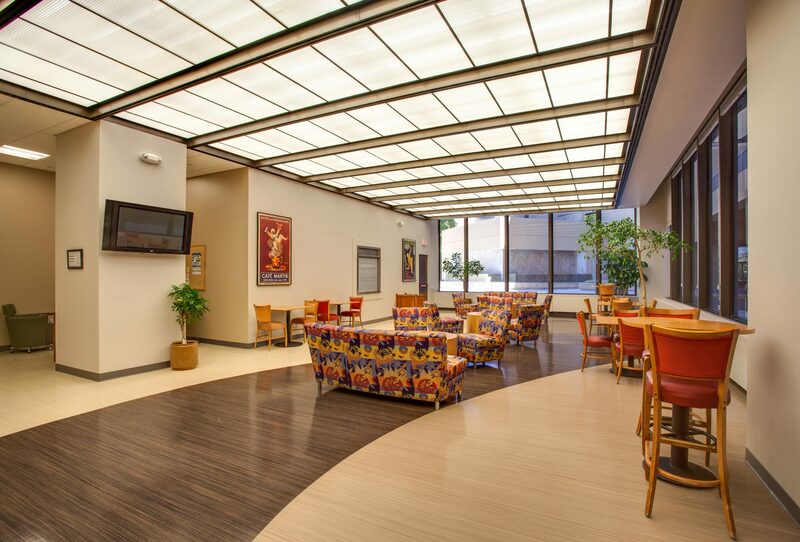 The 12-story building was fully renovated by December 31, 2012. 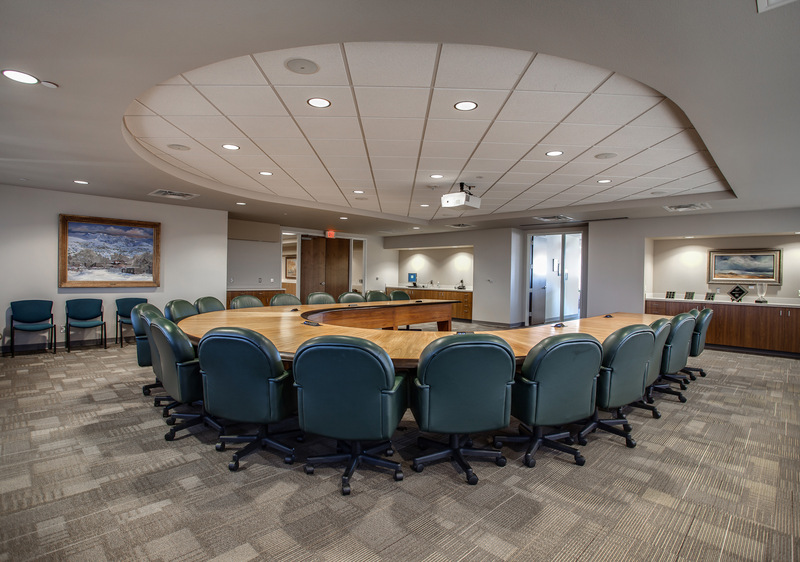 Our team was able to meet this ambitious schedule by breaking the project into six separate phases. 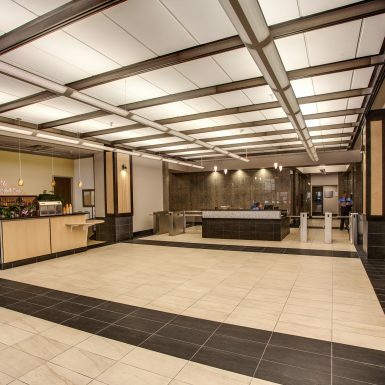 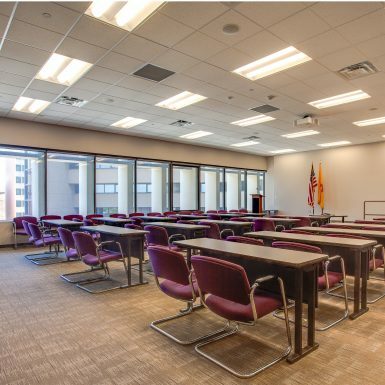 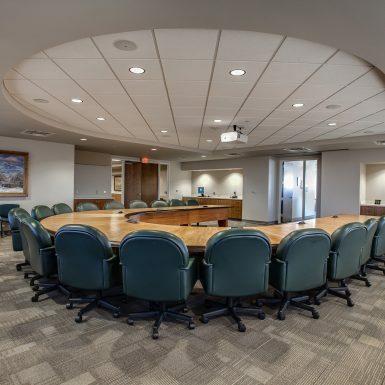 Working closely with Klinger Constructors and the City of Albuquerque Permitting Authority, we were able to complete the project on time and within budget, while greatly improving the quality of the space and efficiency of the operation.